If you feel you’re stuck in a rut and cannot seem to improve your finances then you have to read this. Of course there are plenty of complex budgeting tools around and expensive ‘experts’ able to give you advice on getting your finances in order, but sometimes you just want a simple process that you can use yourself. Managing finances can be a thankless and frustrating task. You just think you are making some progress and are starting to get some savings put aside and “WHAM” something needs replacing or a big expense pops up. Instead of continuing to try, you slip back into your daily routine and “give up” trying to improve your finances. Think about the people that are successful. Some people seem to have everything they want whether it be they are financially well-off, have seemingly perfect health, or just appear successful in any and all aspects of life. They are the people that always are doing ‘stuff’ and having fun. But is many cases these things didn’t just happen to them. Successful people continuously work on achieving their dreams. If you aren’t actively working towards improving your financial situation, here’s a simple little exercise that may help you get out of the rut you’re in and start improving your finances. This is not my original idea – it was from Travis an author for the website Enemy of Debt. I just happened to find this and thought it was a very simple but effective way to make incremental improvements which will start improving your finances. As a mortgage adviser we see a wide range of people from those who are really struggling to those that are in very good financial positions, but almost everyone has some things that they could improve on – including me. The problem is that too often people will just consolidate all their debts or refinance the mortgage and think that this will fix the issue. It can be a huge help, but more importantly people need to stop doing the things that put pressure on finances, and develop a plan to get help themselves turn around the bad habits. Using three pieces of paper, write down three things that aren’t going as well as you want; one on each sheet of paper. Examples of this might be seemingly always running out of money before the next pay, struggling to build up any savings, missing a payment from time to time or having to put your KiwiSaver retirement savings on hold. Next, on each sheet of paper write down two ways that you could improve these issues. For example, if you miss a payment from time to time, one potential improvement would be to have an easily accessible list of all your bills and what day of the month they’re due. For each way that an issue could be improved, write down a specific action that you can do to remedy the situation. Following our same example, one could state that a “bill worksheet” word processing document will be created listing each bill, when they’re due, and the amount of each payment. This worksheet is stored digitally so it can be easily changed, but a hard copy is printed out and retrieved when bills are paid. Finally, pick one action to do immediately, and DO IT! While it would be great if you could change your entire financial system at once, change is best when it’s done incrementally. 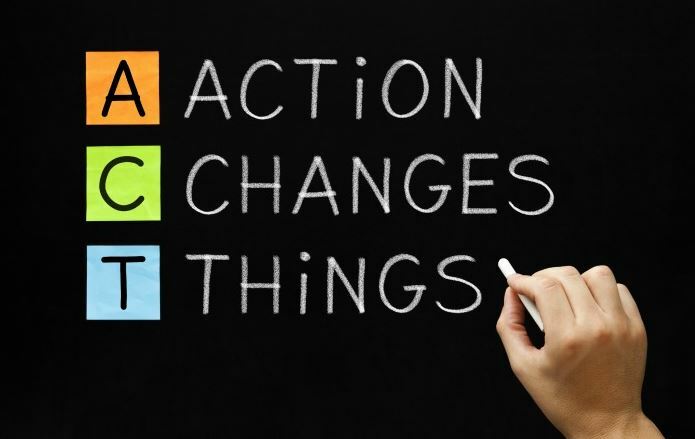 Follow this by performing an action a week until they are all done, then, repeat the process over and over again. This same simple process can be adapted for many things in life from looking to lose some weight, get fit, renovate your home, do a garden make-over or of course to improve your finances. The post How To Improve Your Finances One Step At A Time appeared first on The Mortgage Supply Company.